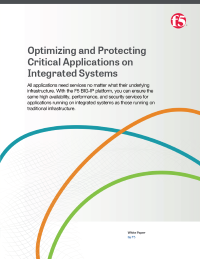 This white paper look at integrated systems, what’s motivating enterprises to use them, how and why, and what enterprises should consider before deploying them. IT organizations are continually looking for creative ways to simplify operations, reduce costs, and keep pace with growing user demand. Many who are using virtualization and cloud solutions to achieve the above are turning to integrated systems. According to a 2014 survey by Zenoss, 45.9% per cent of respondents are already using them and 44.3% per cent are actively considering them. But what exactly are integrated systems?